Ingel concentrates mostly on industrial relations and working conditions, but contributes also to topics related to gender equality and social policy. She helps with important contextual work in projects, e.g. keeping an eye on policy changes; writing quarterly reports on the development of Estonian gender equality, work relations and labour market policy; analysing industrial relations in different sectors. In addition, she assists labour and social policy analysts in their projects, including document administration, information management and projects financial reporting. She is valued for her precision and she loves to help others. 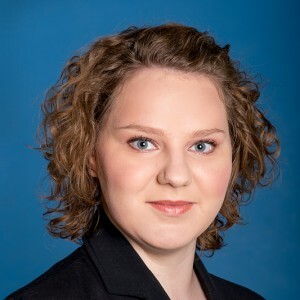 She has previously worked as a chief specialist at the Estonian National Social Insurance Board, which gave her a valuable experience in assisting, coordination and teamwork and particular knowledge in the field of special needs assisting. Ingel has a Bachelor’s degree in sociology, social work and policy from the University of Tartu. She has extended her knowledge on the public sector and service management principals and processes.